Good bye Flappy Bird. I guess he really did mean it. Dong Nguyen pulled the plug on the popular and frustrating game. The Vietnamese developer said the game’s popularity ruined his simple life, and suggested that the many pressures of success became overwhelming. There were no legal issues, and I guess he didn’t mind losing $50,000 a day in ad revenues. Maybe he’ll bring it back, maybe he won’t. It was fun for awhile. 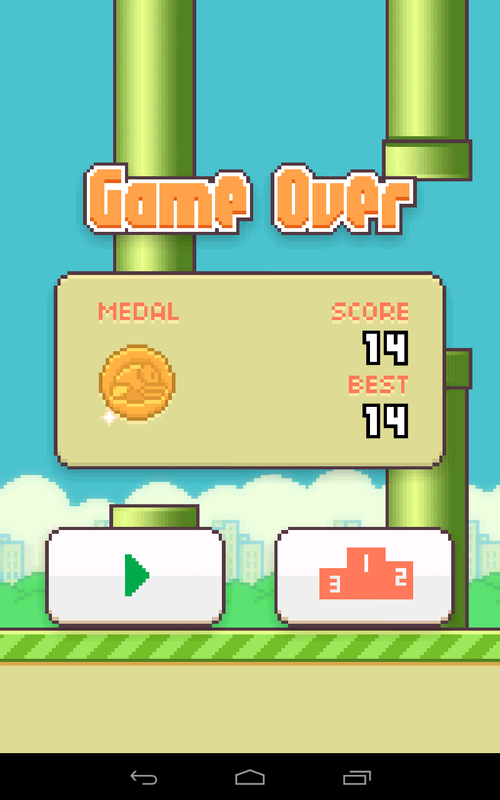 Now, we move on to the next “Flappy Bird” that will come.